These notes are intended to offer advice on the responsibilities of clubs their players and officials covering the most common problems experienced by the Nottinghamshire County Disciplinary Administrator (CDA). All disciplinary issues at all levels of hockey are covered by the code. Ignorance of the code is not an excuse. Related links and all documents required can be downloaded from this page. Clubs must follow the code. Compliance is mandatory. Clubs and players who do not respect its provisions must expect to be penalised. Each club must appoint a Club disciplinary officer (CDO); if not appointed the Club secretary is automatically considered to be that person. Each club should inform the CDA the name and contact details of their CDO at the start of each season. Each club must ensure all it’s player’s officials and supporters are aware of the code. A club may choose to have its own disciplinary code and procedures to support the overall code. Clubs are responsible for all umpires they appoint themselves and all umpires are expected to follow the code. The home club is responsible for the environment within which a match is played; spectators who are not members of affiliated bodies thus not covered by the code will be expected to behave and be regarded as under the direction of the club owning or hiring the pitch – or don’t let them on the pitch. Players who play for a school, club, and university and/or in mixed hockey are bounded by the same code. It is each player’s responsibility to inform all the teams they represent if they are subject to or have any disciplinary procedures imposed upon them. For all levels of hockey most clubs and players participate the CDA is the first point of contact. Umpires, players and officials must report all incidents from Friendlies, County leagues and Midland leagues to their CDA. Each club should report in if their club has been subject to a disciplinary event and if an umpire is involved that umpire should report using the correct form. A telephone call to seek advice in correct procedure is recommended. An advance warning telephone call is always welcomed by the CDA. Electronic transmission of any form or correspondence is preferred. In the absence of a CDA there is usually a deputy CDA. In the event of being unable to contact the County then the Regional Disciplinary Administrator should be contacted for advice. Red card offences occur during an actual match and are reported by Umpires. Match day misconduct offences (MMO) are reported by umpires, players and officials for offences outside the actual duration of a match but that occur around the match. Disrepute offences are where circumstances or actions are prejudicial to the good of hockey. Disrepute can come in many forms. Commonly these are around inappropriate comments appearing in the public domains of Social media. The code has two different type of suspension; mandatory and additional penalty. The minimum mandatory penalty is 16 days which is triggered automatically at the issue of the red card. The day of issue is day 1 of the suspension. The additional penalty is imposed by the CDA taking into account the reason the red card was issued by the umpire and the seriousness of the offence. The penalty may be split to reflect pauses in league hockey or activity in “out of season” competition. Minimum mandatory suspensions are higher where violence is used, attempted or threatened to players and officials. Note 16 days is the very minimum. In cases where players direct foul language and/or personal insult to an umpire you can expect higher than 16 days. NHA imposes an administrative fee (currently £50.00 for 2014-15 payable by the club of any player receiving a red card. Any club not paying is subject to an additional fee of £5.00 per month of delay. Penalties for MMO and Misconduct are judged to similar standards as Red cards and issued to the club or individuals cited. Administration fees could be charged. Clubs must immediately suspend any player who receives a red card Penalty Notification Form (PNF). A suspended player may not play, umpire or act as a team or match official at any event. The person is restricted to training and administrative duties away from the pitch. 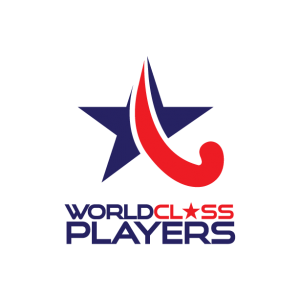 The restrictions apply to all levels of hockey played in England. Appoint a Club Disciplinary Officer (CDO) inform the County Disciplinary Administrator (CDA) who it is. Have a club disciplinary procedure and enforce it. Repetitive yellow cards can be as divisive as red ones. Inform players of their responsibility to inform all clubs they play for in the event of a penalty. Report any offence to CDA or deputy CDA as soon as possible. Make arrangements quickly in the club to deal with a disciplinary issue. Ensure suspended players follow the code. Keep records of players who contravene the code; e.g. accumulate yellow cards, for use in your club decisions. Support and assist the Discipline Administrators whether County, Region or National with correspondence and handling of Penalty Notification. Acknowledge receipt of correspondence when requested. Pay administrative fees imposed without delay.